A bill to officially recognize Palestinian state has been submitted to the House of Commons by the first British Palestinian MP on Wednesday. “Since I was elected I have been dismayed at the progress the Conservative Government has made towards recognising the state of Palestine,” Moran said in a statement issued to Anadolu Agency. “I am in favour of a two-state solution, but until the state of Palestine is recognised, the two actors can’t come to the table as equal partners,” she said. “Given the U.K.’s role in the Balfour declaration it is vital that Britain recognises the role it has played and the role is has to play in re-igniting the peace talks. 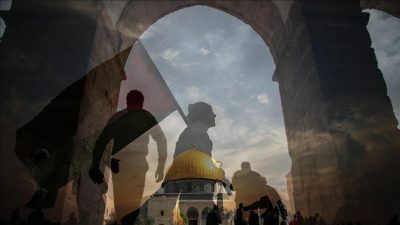 The bill will be published in the next few days or weeks and it will, if passed into law, require the Government to formally recognise the state of Palestine within 3 months of the Bill being passed, a statement from Moran’s parliamentary office said. “I don’t believe that we should be waiting some sort of fictitious moment in the future with undefined goals where this is given as a reward for Palestine and Palestinian leaders’ going back to negotiating table,” Moran said in the video she shared earlier on YouTube. “I encourage anyone who believes in peace between Israel and Palestine, who believes in the two-state solution to back this bill and back Britain recognizing Palestine as a state as soon as possible,” she said. Palestine embarked on a strategy to seek international recognition as an independent state in 1988 with its declaration of independence. Between 2009 and 2010, a second phase began, during which many countries decided to recognize it as an independent state. It has been recognized by 137 of the 193 UN member states and the UK, US and most of the EU countries are still to recognize Palestinian state officially.